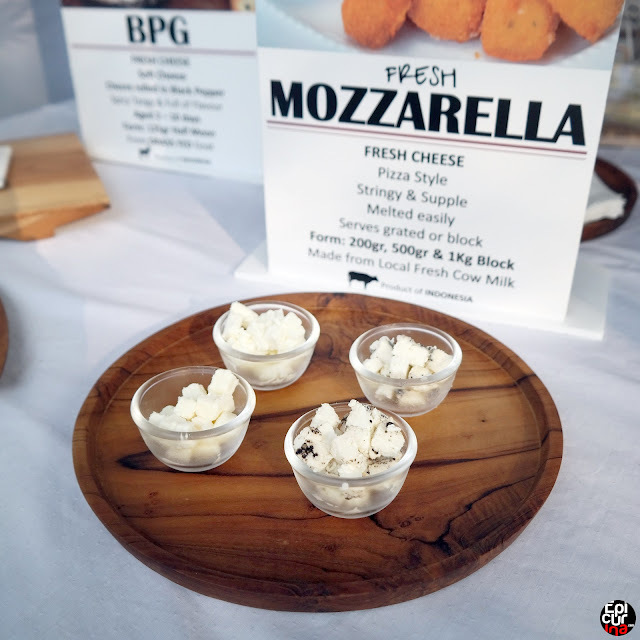 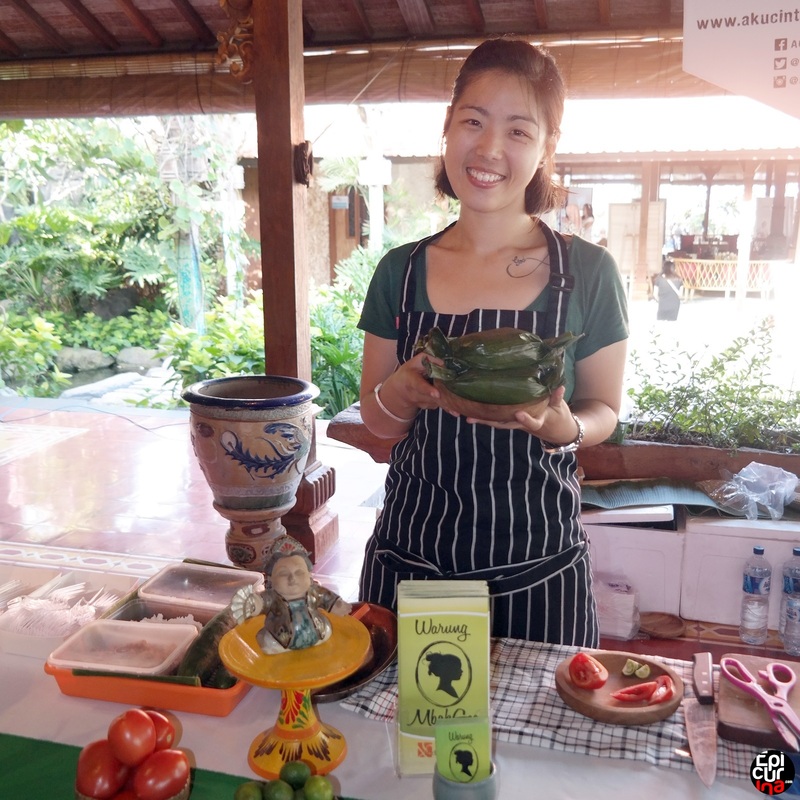 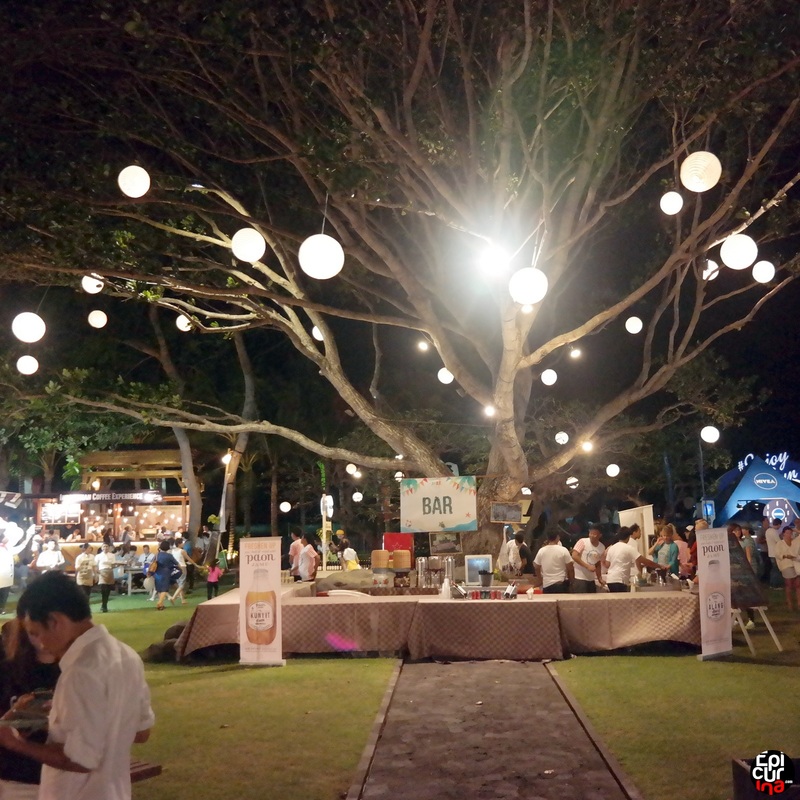 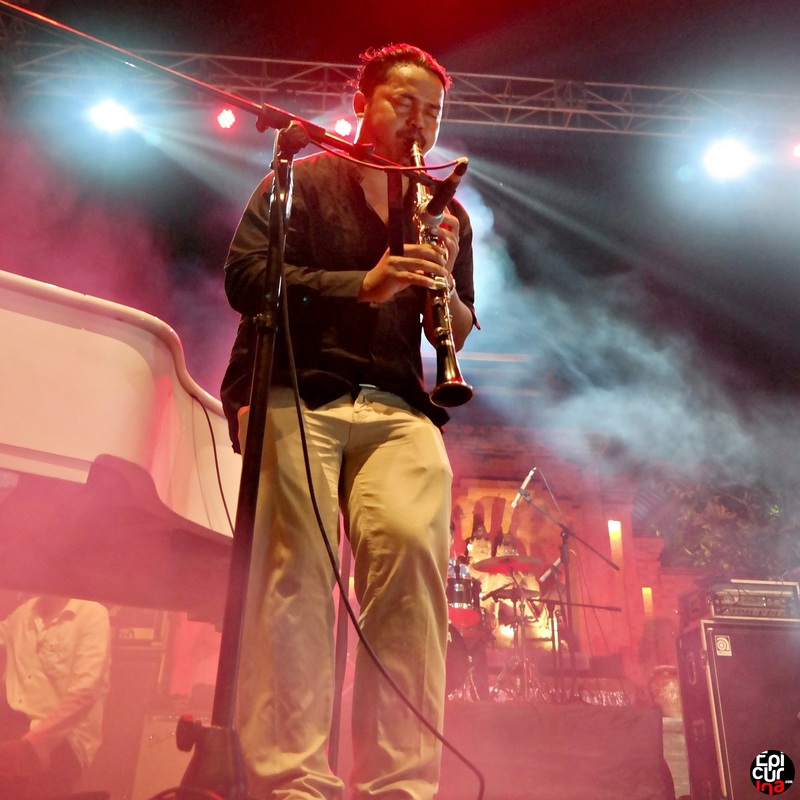 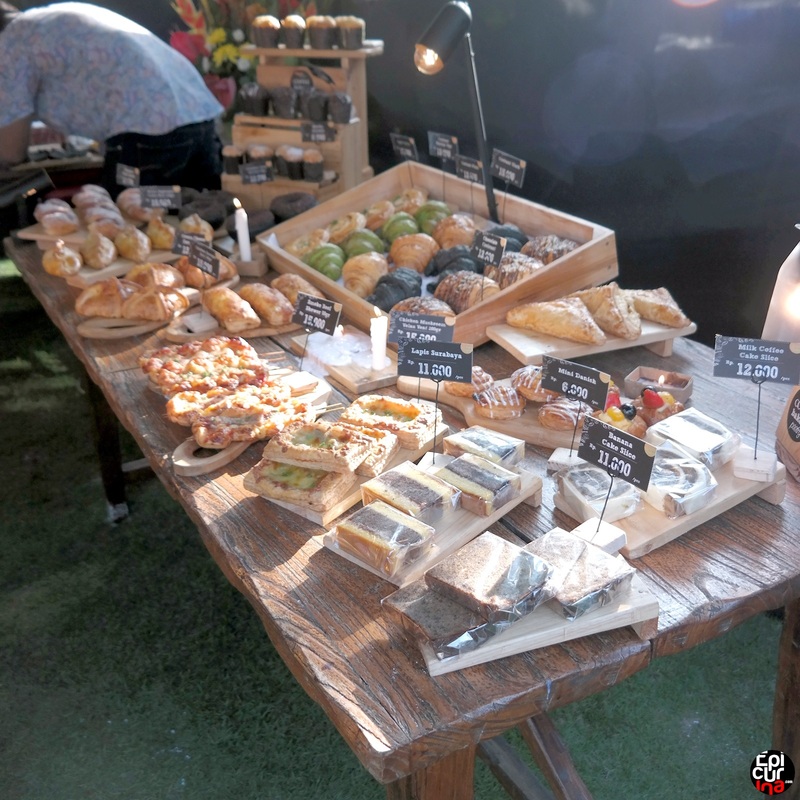 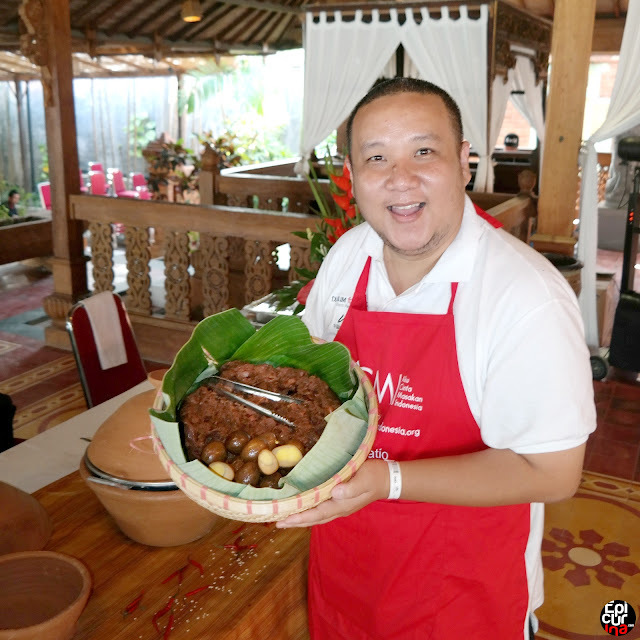 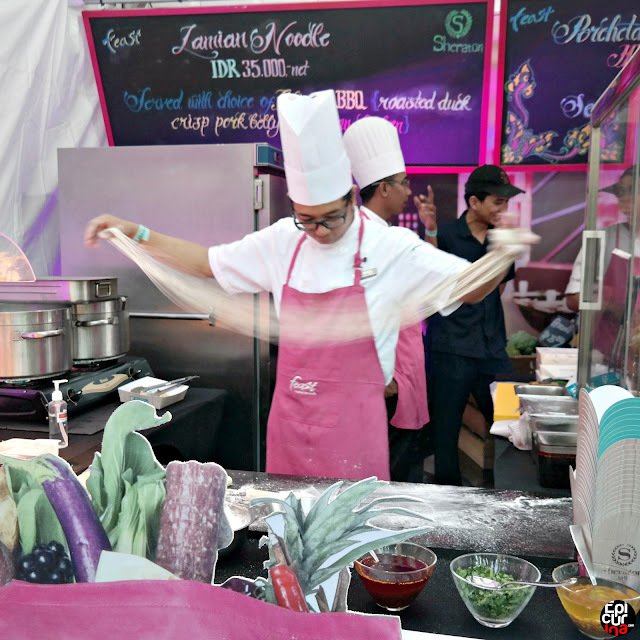 Epicurina Bali Food Blog recently covered Jazz Market by The Sea, the most-awaited jazz market in Bali in 2015. 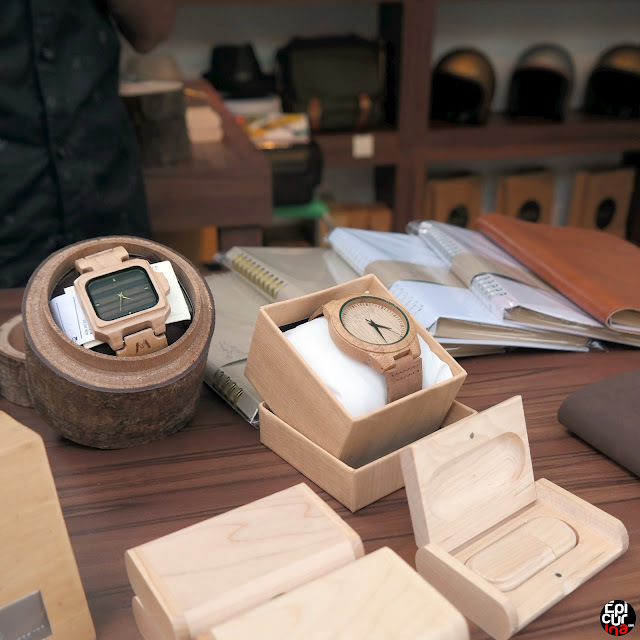 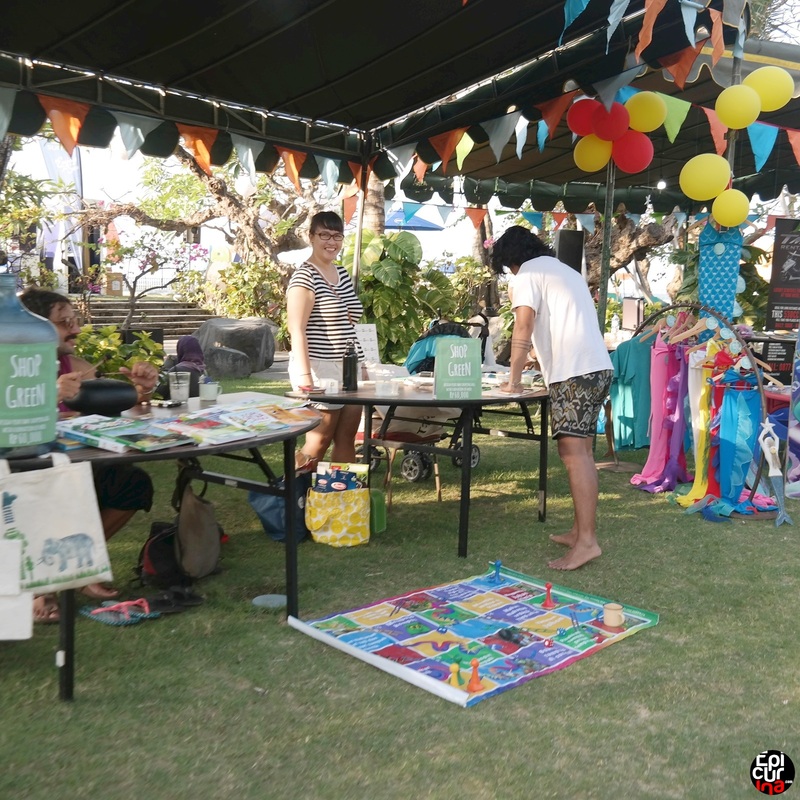 The event combines two activities into one: Jazz concert, and pop up market. 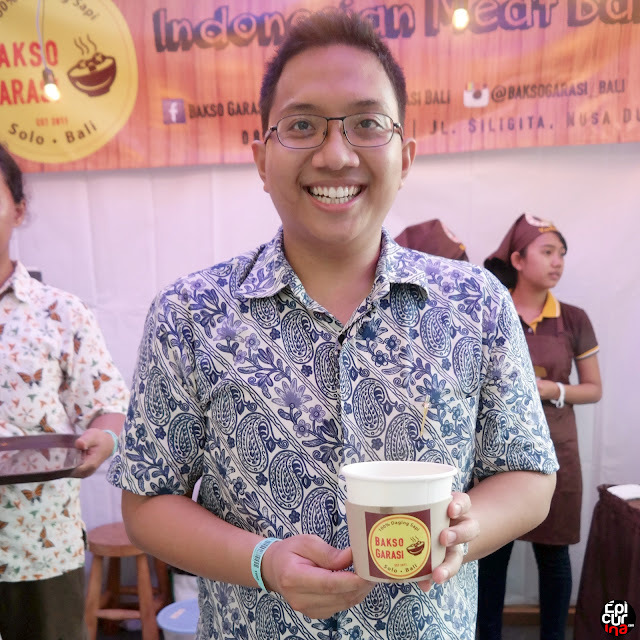 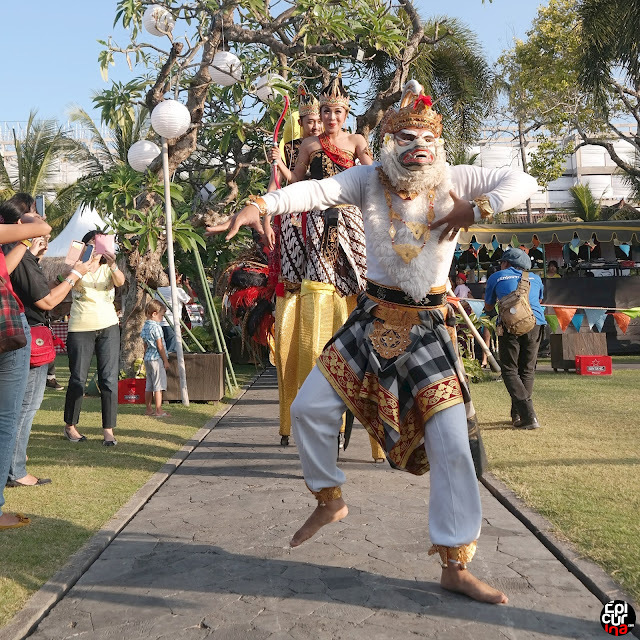 The combination was created to get the feel of Indonesian traditional market experience, where food and products are sold with attractions and entertainment happening side by side. 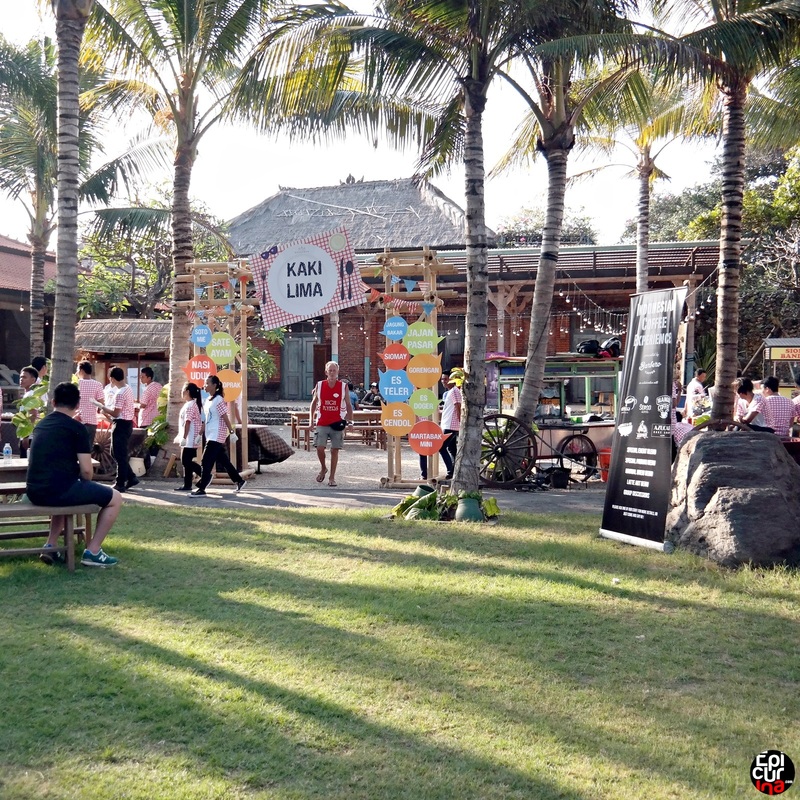 Just that instead of the becek and smelly whatnot, you experience it in a comfy environment with hand picked selections of products and attractions to ensure all the guests have a good time. 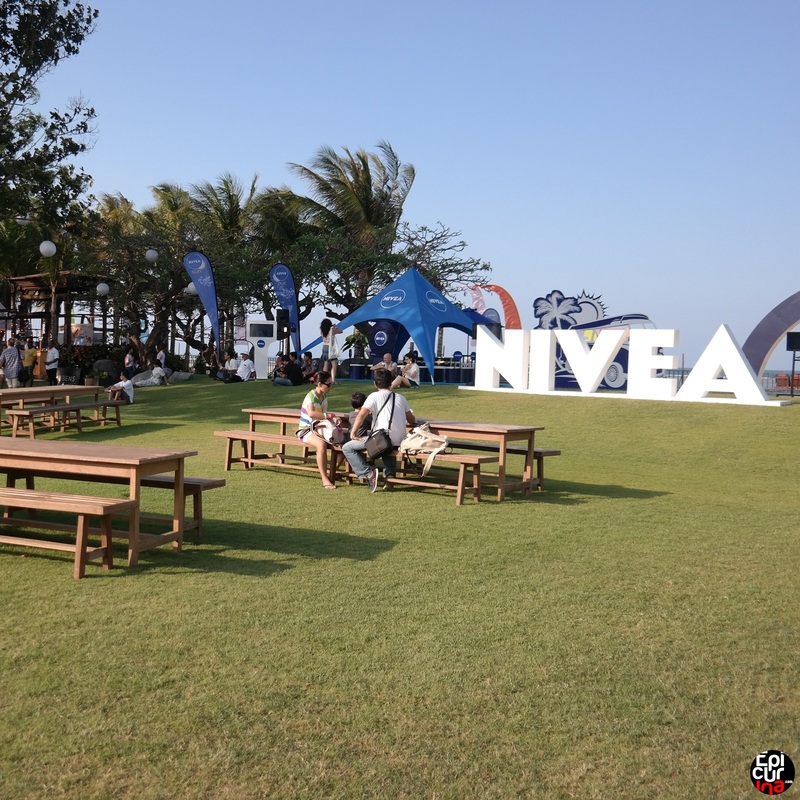 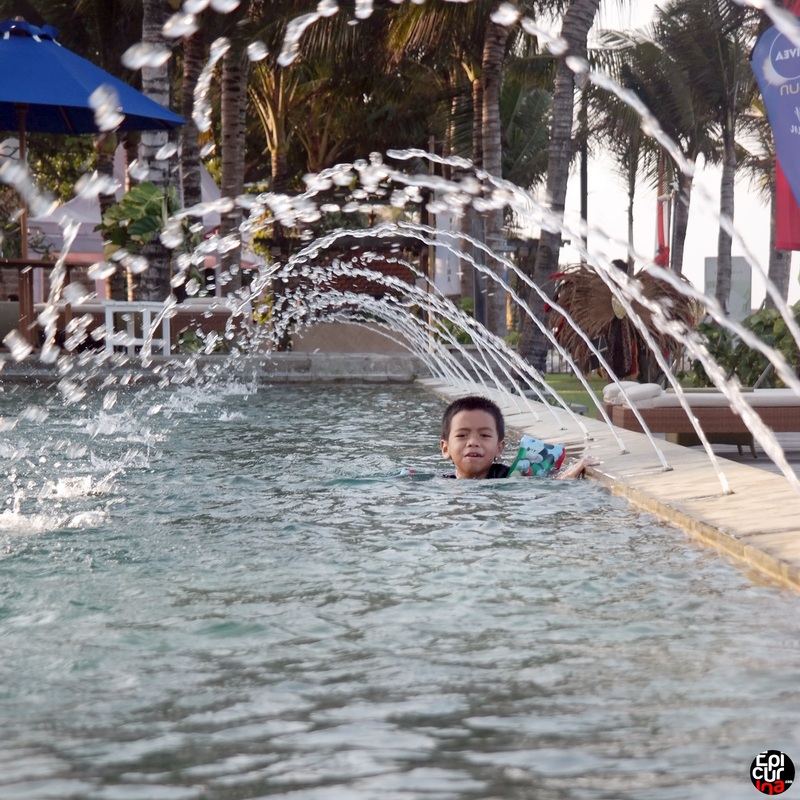 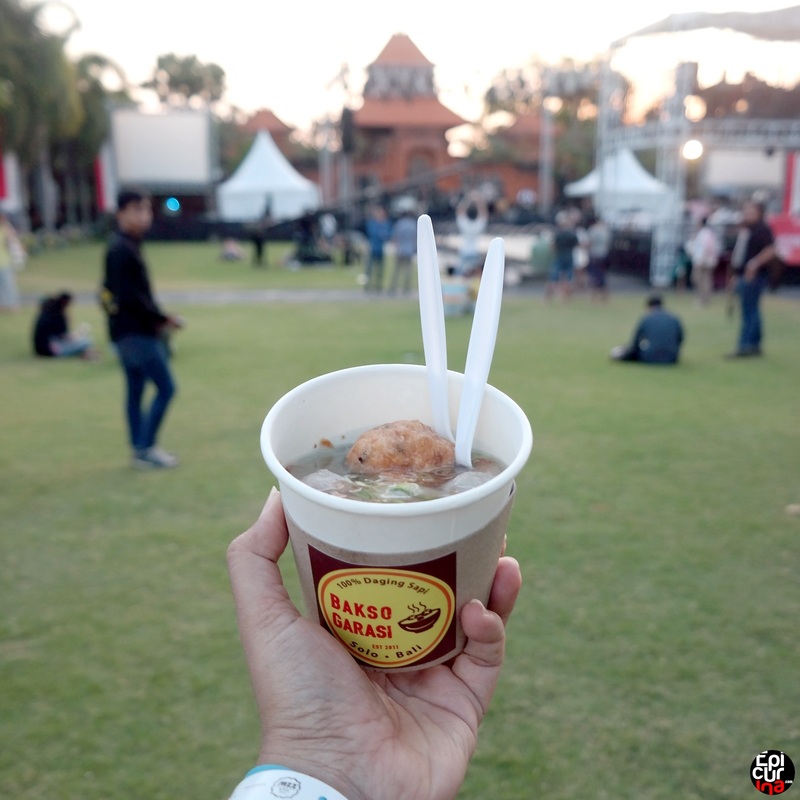 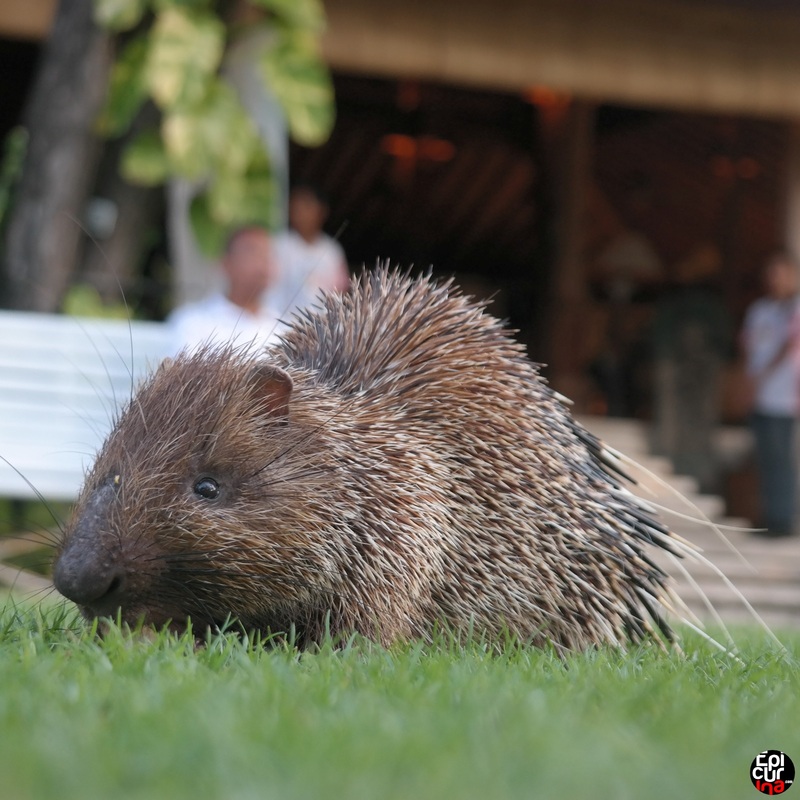 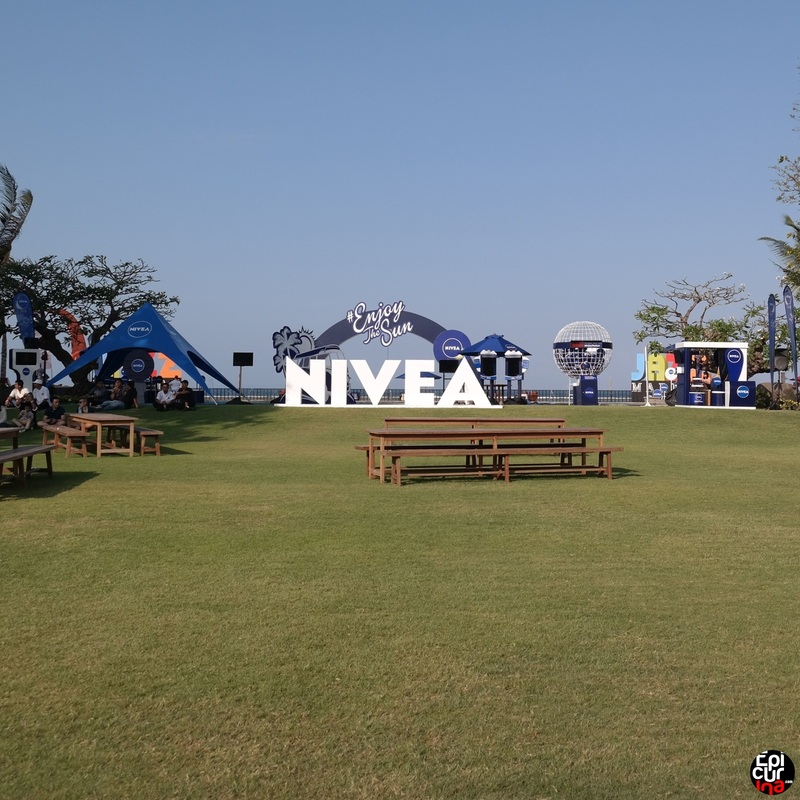 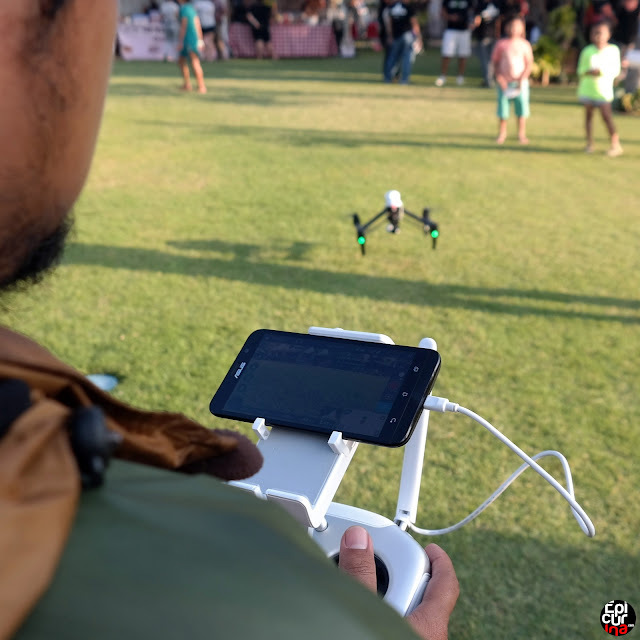 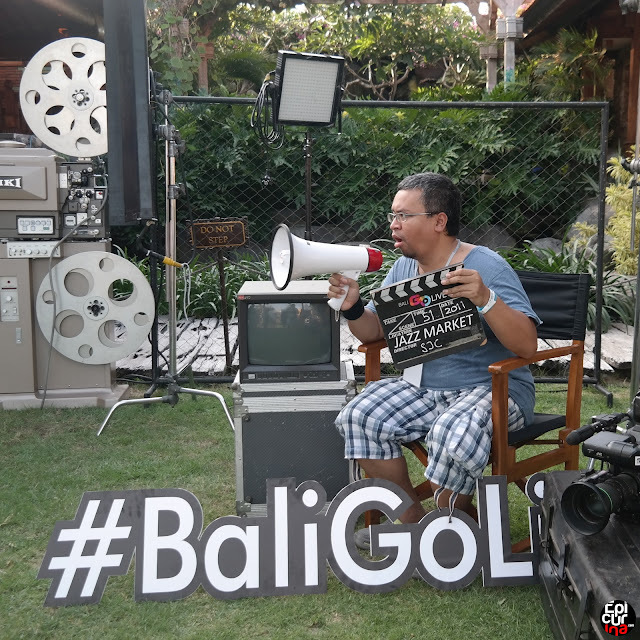 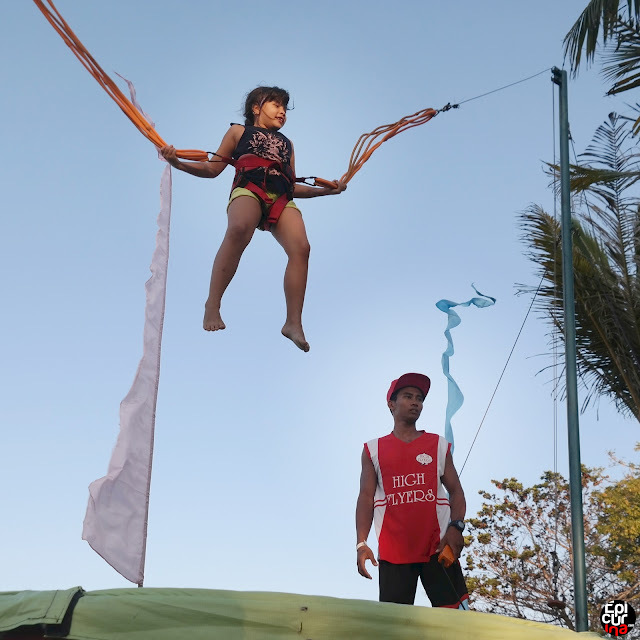 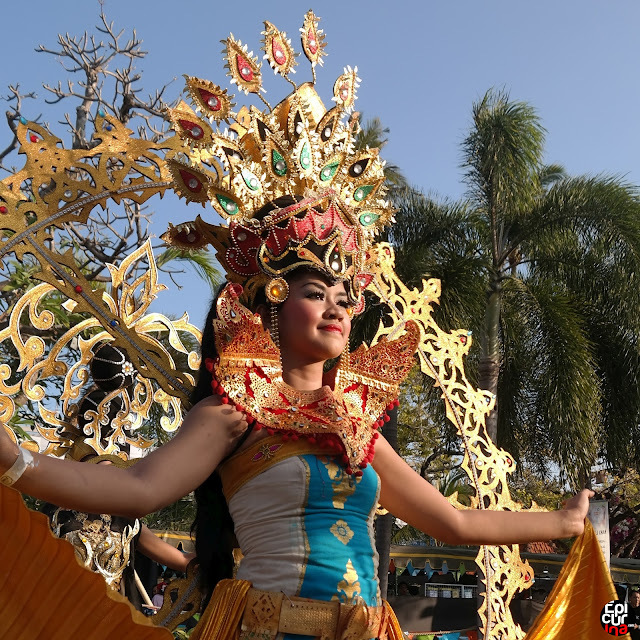 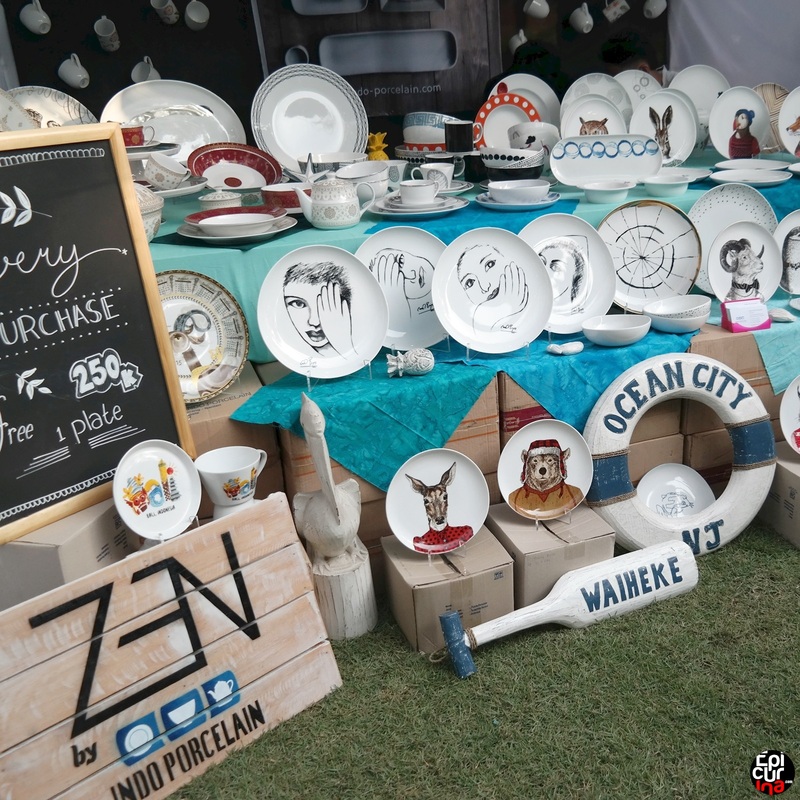 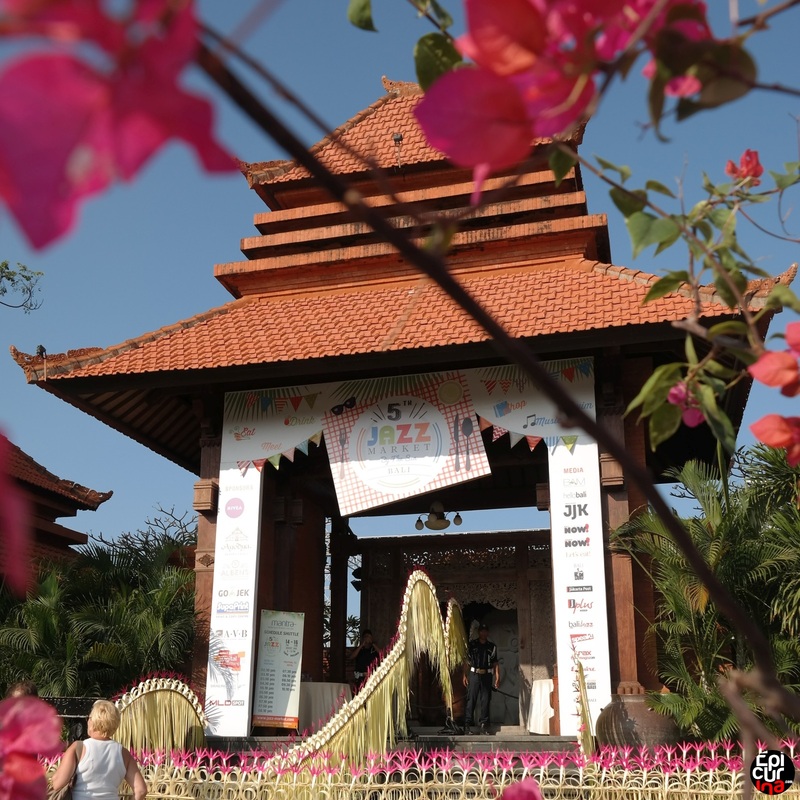 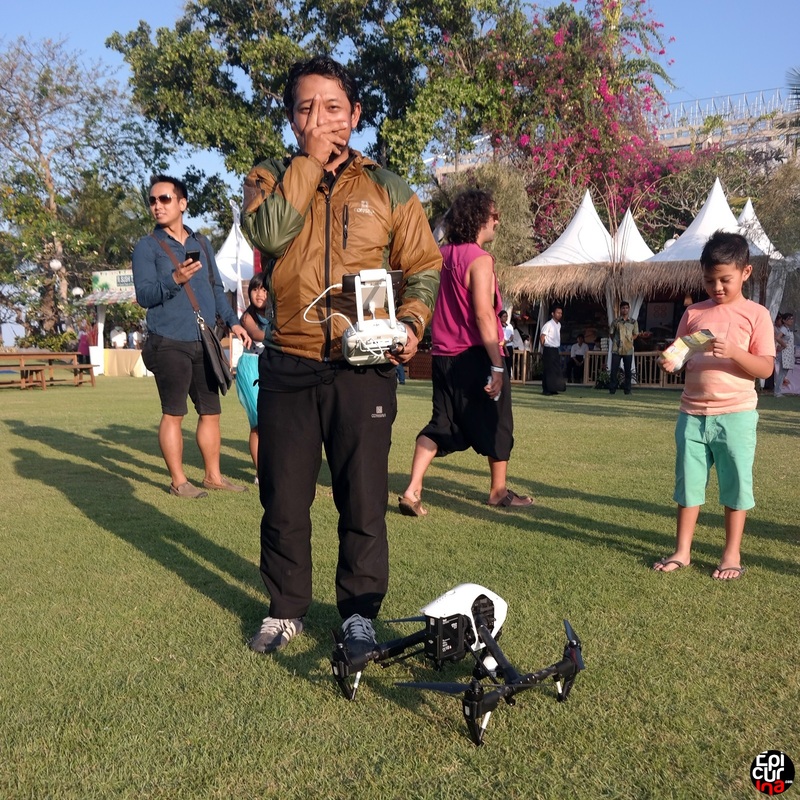 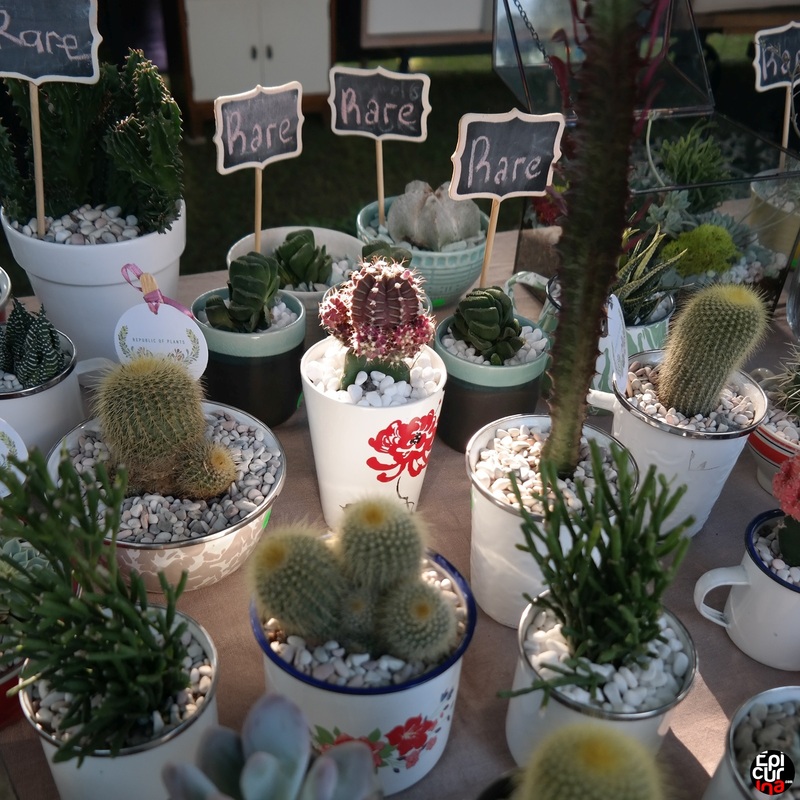 Set in the beautiful Taman Bhagawan in Tanjung Benoa, the event was full of surprises right from the very start of the event, with participation of GoJek. 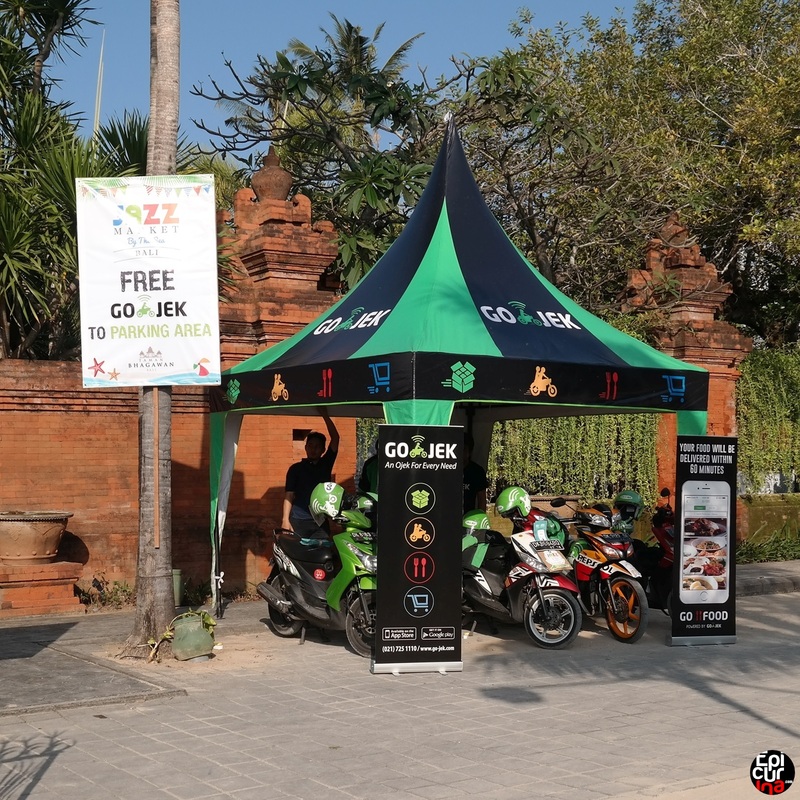 Now instead of walking down the narrow sidewalk under the sun, the market visitors are transferred using free GoJek ride back and forth from the parking space to the venue. 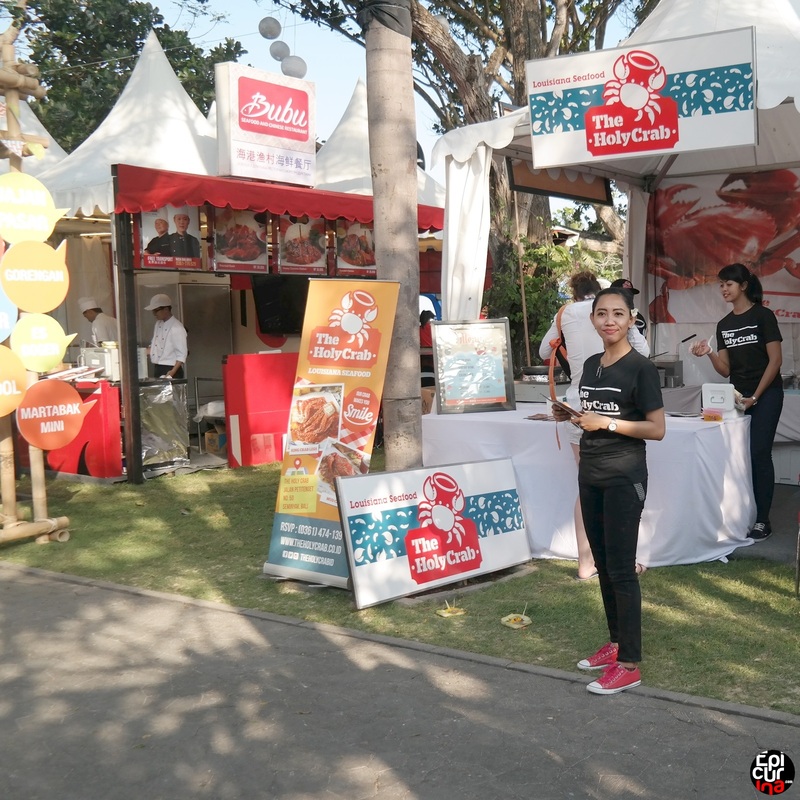 Forget valet parking, we have GoJek! 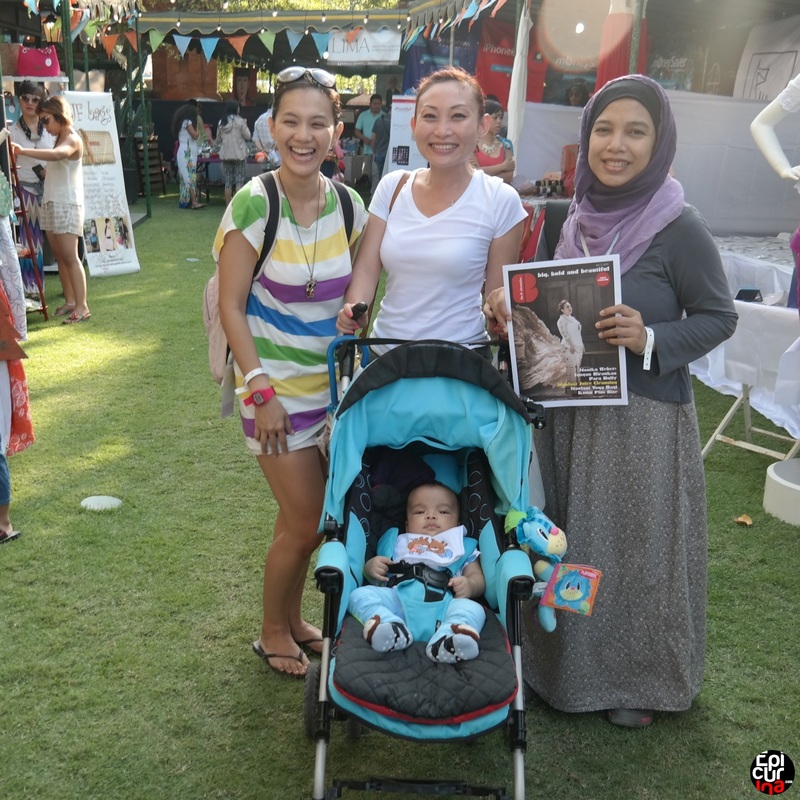 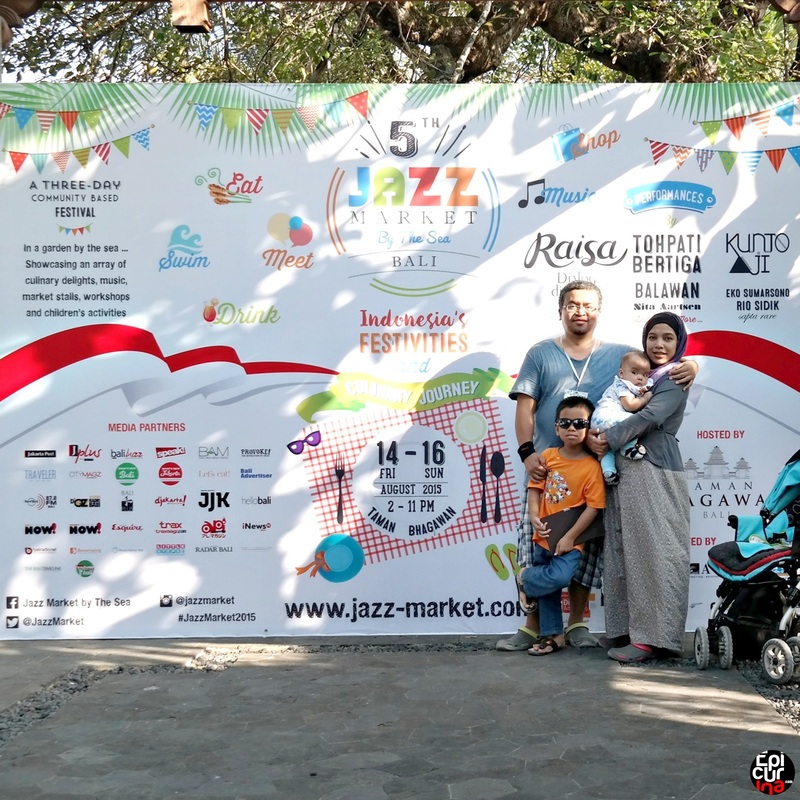 The Jazz Market also ensure that the younger crowds are treated well, by preparing a whole corner full with creative and fun children activities. Therefore while the adults would enjoy browsing through tons of good and quality things, yummy unique foods, rare market items and crafts like wooden watch, or watching the beautiful performances, our youngsters can get involved in various fun activities like petting zoo, creative painting, trampoline, fun contests, and free access to the swimming pool. 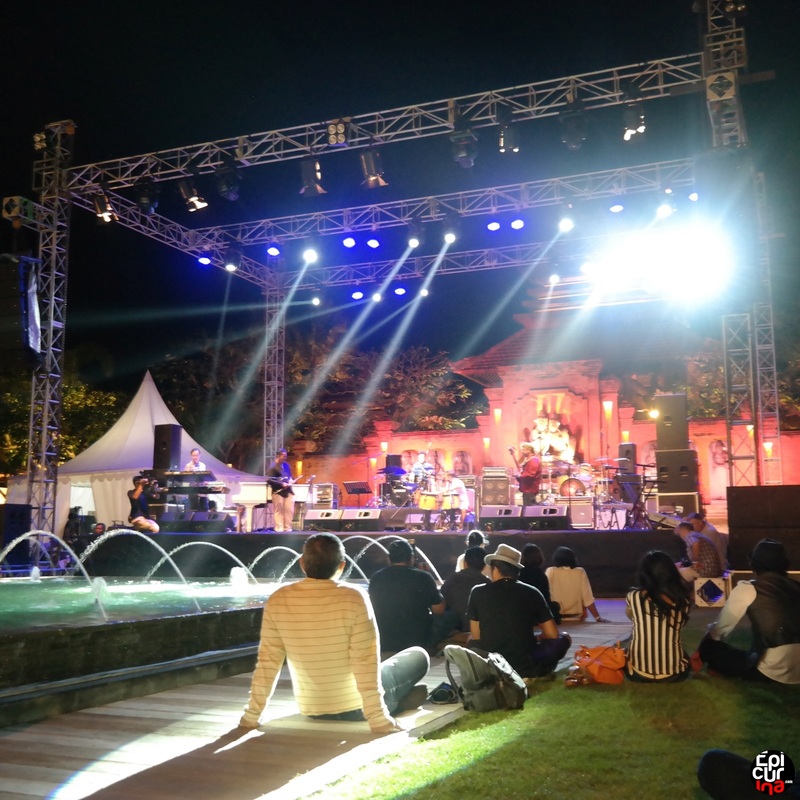 Daily tickets can be bought on location, it’s 100K IDR on Friday and Sunday, 200K for Saturday. 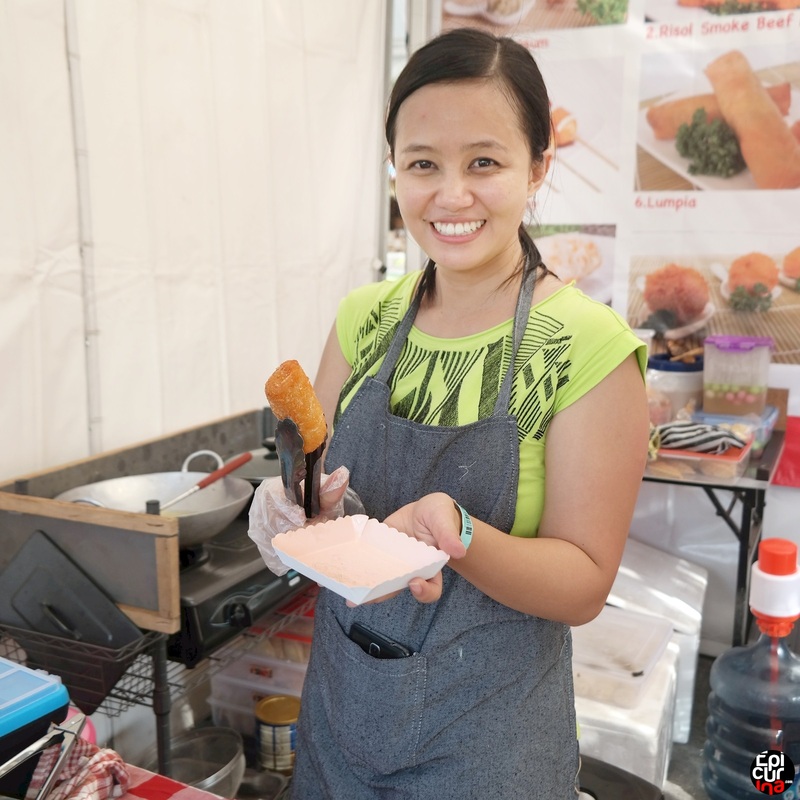 Food and drinks are available on the premise, with food costs around 25-35K, bringing together lots of interesting food choices, from around the Bali and Beyond. 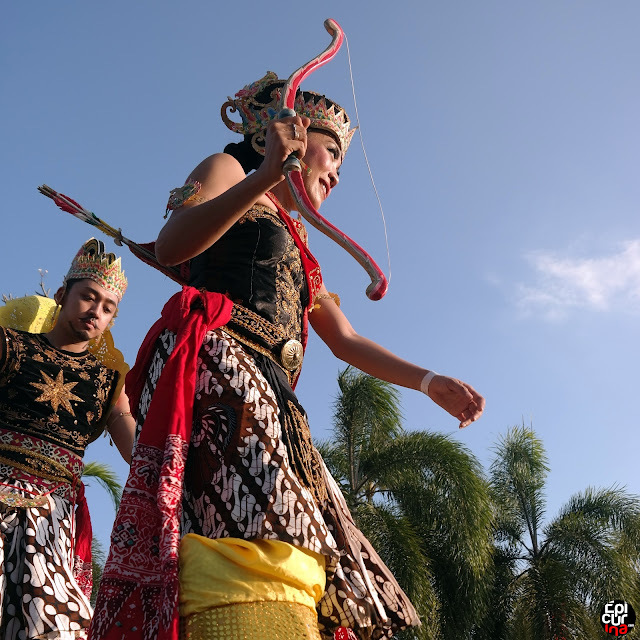 Definitely something to look for when you're in Bali. 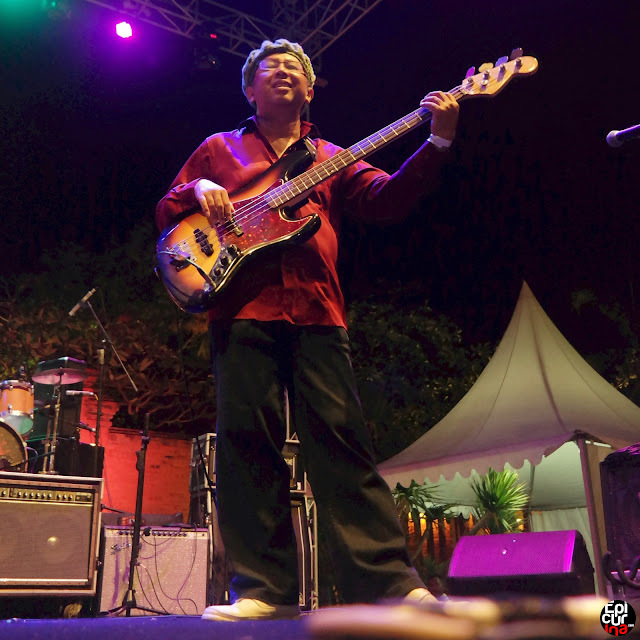 Sunday 16th August 2015 will be the last day of the Jazz Market 2015. 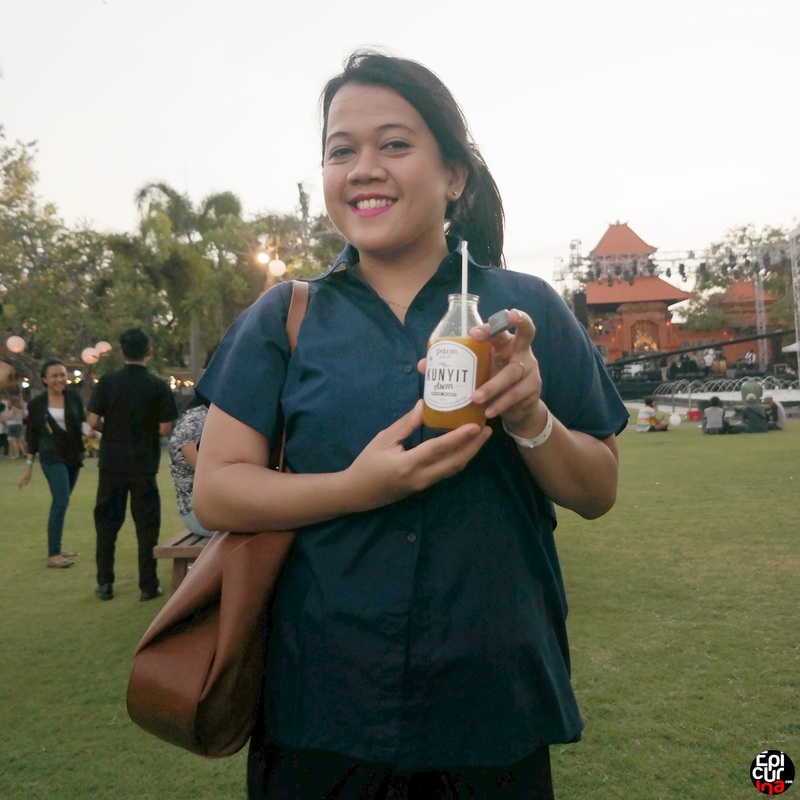 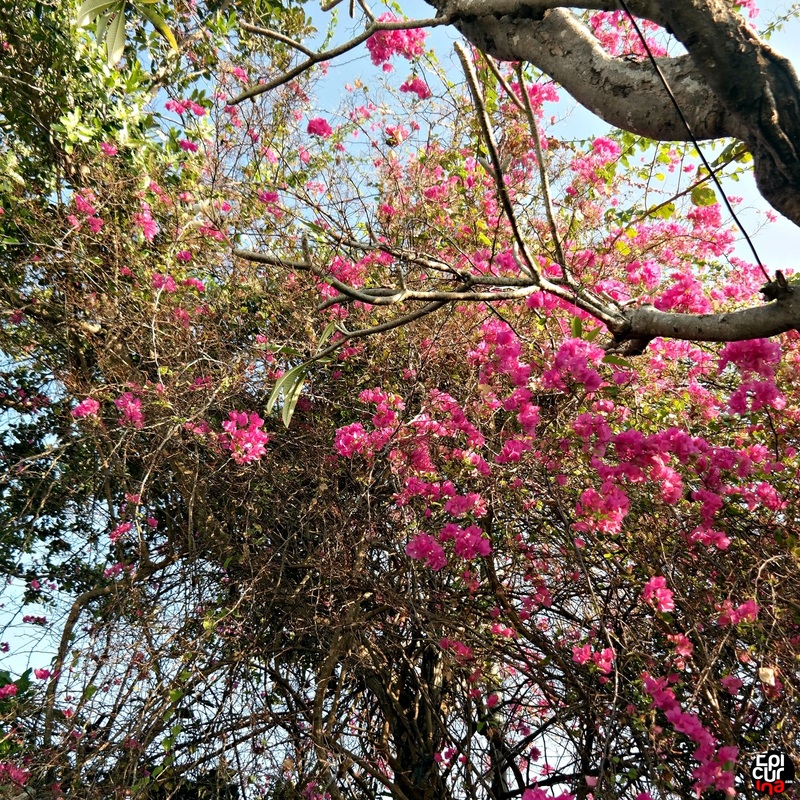 For you who plan to visit the market, wear something airy and comfortable, including a pair of comfortable walking shoes, and sun block lotions. However should you’re planning to attend today’s event all day long, to watch the talented musician line up, we strongly recommend bringing your coats or something warm to cover yourself from the wind, as while the day is scorching hot, the evening is cold and windy, we mean really windy.